The time is early autumn. The woman wakes and dresses the boy. He practices with his sling while she spreads a caribou skin to dry. 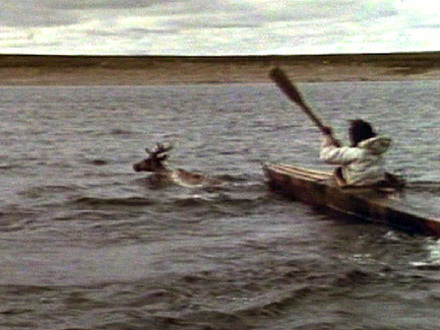 The boy picks berries and then the men come in their kayak with another caribou. This is skinned, and soon night falls. In the morning, one man leaves with his bow while the other makes a fishing mannick, a bait of caribou meat. The woman works at the skins, this time cleaning sinews and hanging them to dry. The man repairs his arrows and then sets a snare for a gull. The child stones the snared gull and then plays hunter, using some antlers for a target. His father makes him a spinning top. Two men arrive at the camp and the four build from stones a long row of manlike figures, inukshult, down toward the water. They wait for caribou and then chase them toward the stone figures and so into the water where other men in kayaks spear them. The dead animals are floated ashore and skinned. The boy plays with the visitors, the woman cooks the meat, the men crack the bones and eat the marrow, and then feast on the plentiful meat. 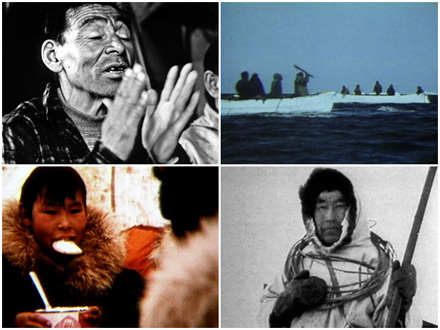 These films reveal the live reality of traditional Eskimo life before the European acculturation. The Netsilik Eskimos of the Pelly Bay region in the Canadian Arctic had long lived apart from other people and had depended entirely on the land and their own ingenuity to sustain life through the rigors of the Arctic year. 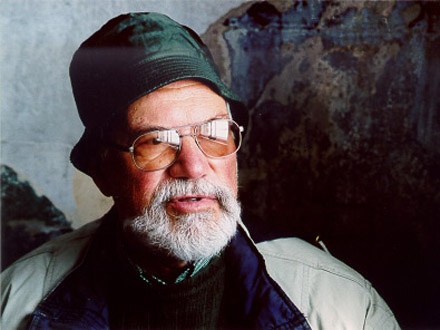 The filming was done during the summers of 1963 and 1964 and in the late winter of 1965 under the ethnographic direction of Dr. Asen Balikci of the University of Montréal, assisted by Guy Mary-Rousseliere, O.M.I., both anthropologists of wide Arctic experience. 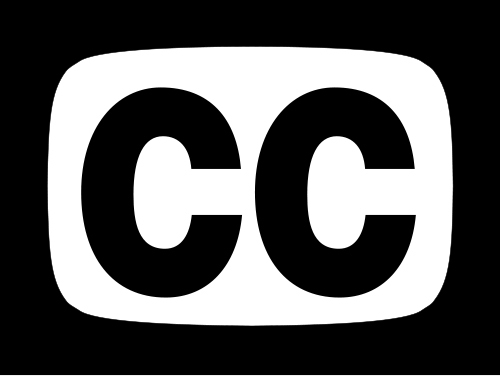 Quentin Brown was Producer-Director, and Kevin Smith the Executive Producer for the series.